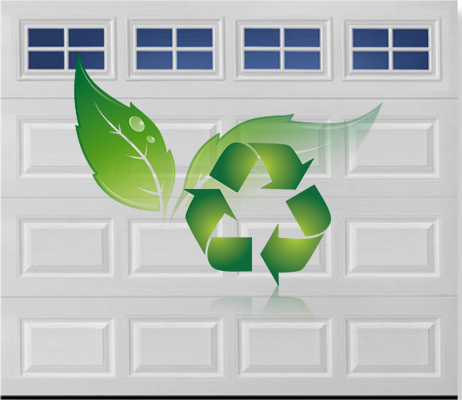 The first question is, can your garage door be eco-friendly? The simple answer is yes. There are quite a few ways to make your garage door greener than your lawn, metaphorically, of course. The real question is how? How can you make your garage door energy efficient, eco-friendly and work the best? That right there sounds like a truly tall order. Just because something is made to be eco-friendly doesn’t mean that it is going to work well. It also does not mean it will be affordable. Just look at the prices on those electric cars! Want to hear some good news? Our experts have compiled the way you can make your garage door greener in an affordable fashion. You could, of course, go with a wooden or glass garage door. Those are a little pricier, though and they are not the most energy efficient. You can get an aluminum garage door that is very affordable and made mostly from recycled aluminum. There are also steel garage doors that are at least twenty-five percent recycled steel. Both are great options. The recycled aluminum garage door is the better option, though as it is lighter. This causes less stress on your garage door opener and saves electricity. This is good for the environment and your wallet. There are many reasons to insulate your garage from the outside world. For one, your house is more open to your garage than the outside through any window or door. To keep your house temperature regulated, you need to keep your garage regulated to a certain extent as well. It is very wise to have a heater installed in your garage during the winter months. For that to work, you have to make sure your garage is sealed when it is closed up. This means putting insulation and seals on your garage door. This also means replacing garage windows with better insulated windows. This also helps keep the outdoors out and the indoors in. What do I mean by this? If your garage is also a workshop, you want to keep chemicals from affect the outside too much. You also don’t want the smell of that skunk in your garage or the skunk itself in your garage. This works the same way for humidity and mildew. Properly insulating your garage can go a long way in preserving your garage door and everything inside your garage. If you really want to make your garage and garage door eco-friendly, then call in a professional. They can look over the situation and conditions to best decide what needs to be done. They have the tools, skills and knowledge to get the job done right, the first time. 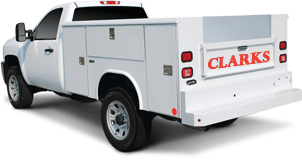 That is why you call Clark’s Garage Door & Gate Repair at (877) 622-8183! We are available twenty-four hours a day and seven days a week, year round!